Although much research in the IS field has examined IS adoption, less is known about post-adoption behavior among IS users, especially when competing alternatives are available. 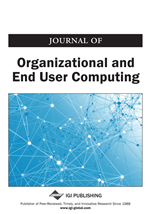 Incorporating commitment theory from social psychology and management science literature, this paper proposes an IS continuance model that explains why some IS technologies enjoy continued use after adoption and others are often relegated to the basement as shelfware. This paper uses a technology commitment perspective to unravel why adopted technologies experience mixed success. Specifically, the authors argue that IS continuance may be best understood by investigating user commitment toward specific technologies. Three components of technology commitment, that is, affective commitment, calculative commitment, and normative commitment, are used to formulate a research model. The model is empirically tested in the context of instant messaging software. Results show a strong support for the model and explicate commitment differentials among users across different brands of instant messaging software. The study ends with a discussion of the results and their implications for research and practice. What drives user intentions to continue using specific application software over other previously adopted software alternatives? In hypercompetitive environments, IS continuance, defined as the continued use of an IS technology product long after an initial acceptance decision (Bhattacherjee, 2001), is rapidly becoming relevant. From a 2001 survey of 100 companies, the CIO magazine reported that most companies use less than half of their inventory of previously adopted software (Kalin 2002) - building loyalty for one substitute to forego the use of another. Although anecdotal, it is interesting to note how our adoption and early experience with Corel Wordperfect and Microsoft Works failed to dissuade us from foregoing their use for Microsoft Word. The issue becomes even more acute for freely and easily available and substitutable software, e.g., browsers, webmail applications, instant messaging applications, where alternatives run the gamut. Sadly, the question of why a user intends to continue using one software application over another remains unanswered. From individuals to organizations, our portfolio of available technology products is rapidly growing. There is a growing body of research in the information systems (IS) literature regarding the understanding of technology adoption and use. Although technology adoption research has made great progress, a lack of empirical evidence on post-adoption use becomes increasingly critical to IS research and practice. For example, it is not uncommon for individuals to adopt multiple instant messengers with different service providers (such as Microsoft, AOL, Yahoo!, Google, Skype, etc.) but over time, users tend to precipitate towards using one or a few even when available (and already adopted) alternatives offer similar features, e.g., instant interactivity, status awareness, multi-party collaboration, conversational transcript. The case is even more acute with software use in organizations. There is a preponderance of shareware, freeware, and demo available online or by vendors for adoption. While individuals and organizations may adopt software alternatives, users, in the post-adoption phase, choose to continue to use a certain software technology and relinquish their use of a competing alternative. In fact, a recent study found that organizational adoption and investments in software range between 30 and 40 percent of the IT budget (Gallagher, 2006). While both individuals and organizations adopt several technology products, only a few products actually experience continuous use (Selwyn, 2003). The rest remain adopted yet unused, gathering dust as “shelfware.” Shelfware is a term used for software that has been adopted, but remain unused in the face of available alternatives. As such, shelfware refers only to software that has available adopted alternatives. Shelfware consists only of non-core software. Shelfware does not include core software technologies such as ERP (enterprise resource planning) or mainframe operating systems software that limit the scope of individuals and organizations in choosing available alternative and have to be captive to a single adopted software. Therefore, the scope of our discussion limits itself to shelfware only.